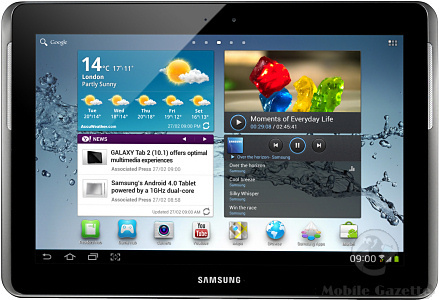 The first generation Samsung Galaxy Tab 10.1 hit the headlines last year for various reasons, and not all of them good. The original Galaxy Tab 10.1 was revised shortly after launch but then became embroiled in a series of bitter lawsuits with Apple, leading to further hardware and software variations.. in turn leading to more lawsuits with Apple. 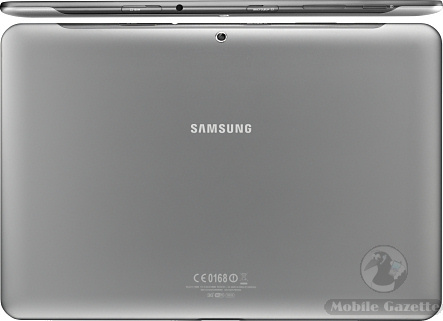 The Samsung Galaxy Tab 2 (10.1) looks a little different cosmetically from the older tablet, with a pair of front-facing speakers discretely hidden on the outer edges of the device and a lot more silver paint applied to this model as well. Underneath, the hardware on the Tab 2 (10.1) is very similar to the old one, based around a dual-core 1GHz processor and a 10.1 inch 1280 x 800 pixel TFT display. Inside is 1GB of RAM and 16 or 32GB of flash memory plus a microSD slot. On the back is a three megapixel camera with a 0.3 megapixel camera on the front for video calling. The biggest change is the operating system - the Galaxy Tab 2 (10.1) runs Android 4.0 "Ice Cream Sandwich", although in our view that isn't a massive upgrade from Android 3.2 Honeycomb available for the previous incarnation. Unless you are desperate for Android 4.0, there doesn't seem to be a compelling reason to upgrade from the old Tab 10.1 at the moment. As with most tablets, the Galaxy Tab 2 (10.1) is available in 3G and WiFi versions, the 3G one supports HSPA+ download speeds of up to 21Mbps. Both versions of the tablet support GPS and GLONASS, so effectively can be used as massively oversized personal navigation device. All the other usual Android features are here as well. Inside is a large 7000 mAh battery (as before), and the Tab 2 (10.1) is a little larger (but lighter) than the previous version at 257 x 175 x 9.7mm and 588 grams. The old Galaxy Tab 10.1 retails for about €420 to €550 depending on model, although we suspect that the Galaxy Tab 2 version will retail for slightly more at launch and then the price should come down. Samsung say that the Galaxy Tab 2 (10.1) should be available in the UK from March onwards, other regions should follow later assuming Apple's lawyers don't get involved.